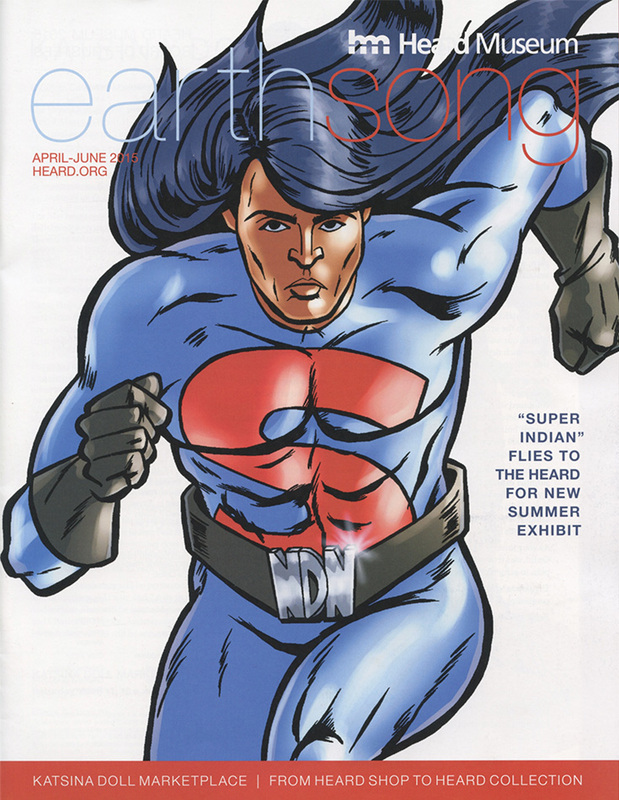 “Super Indian” fans should start making their plans to head to Phoenix, Arizona to check out the “Super Heroes” exhibit at the Heard Museum that opens on Saturday, May 16th. The special exhibit will feature Native American comic book art, including work from Indigenous Narrative Collective’s members Roy Boney, Jonathan Nelson and Theo Tso. Also featured are Jay Odjick and Jeffrey Veregge and many more. Arigon’s “Super Indian” characters are set to be featured not only in the promotion push for the exhibit, but the venue itself. When we get more details, we’ll let you know. In the meantime, check out the Heard Museum’s website for information on date/time/dates/admission fees. We’re sure it’s going to be really super and a fun and informative event for all ages. Previous Pre-Order Your Copy of “Super Indian Volume Two” NOW! Next Now Playing in Phoenix, AZ…The Super Indian TV Ad!